Victor M Adames is an attorney at law who graduated from the Universidad Anahuac del Sur in 2002. 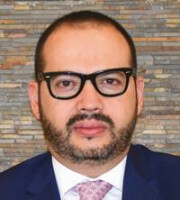 He joined Becerril, Coca & Becerril SC (BC&B) in 2004 and became a junior partner of the firm in August 2018. He is a member of INTA, where he actively participates as a member of the Subcommittee for Well-known Marks in Latin America. He is also a member of MARQUES and of the Mexican Association for the Protection of Intellectual Property, where he actively participates in the Trademark Committee. Mr Adames participates in several forums on IP matters and regularly publishes articles in different media, such as the International Law Office newsletter and the World IP Review magazine.